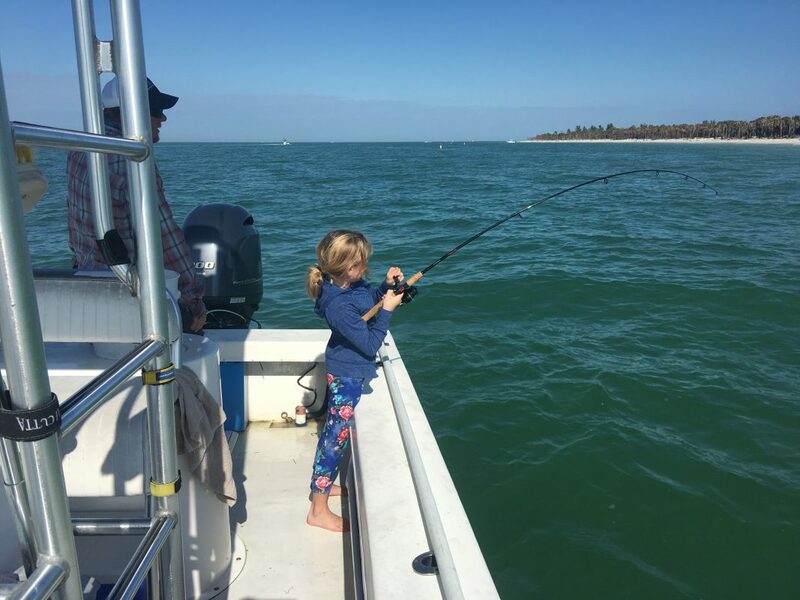 With cold fronts sweeping down from the north, fishing around Anna Maria Island remains consistent for a variety of fish. Bottom fishing around ledges, reefs and wrecks is yielding a fish on just about every bait. Mangrove snapper are dominating the bite followed by Key West grunts, sheepshead, porgies and groupers. You can add lane and yellowtail snapper to the list — if you’re lucky. Changing baits to live shiners or cigar minnows is producing amberjack which is always good for those looking for a real workout. Inshore fishing around Anna Maria Island is producing good action. Fishing structure for sheepshead seems to be getting better and better as the winter progresses. Most are 2-3 pounds which is perfect eating size. Fishing docks inshore is producing good action on black drum, mangrove snapper and catch-and-release redfish. All three species are readily taking live shrimp offering. Lastly, jigging the flats for spotted seatrout is proving to be worthwhile. Keeper-size trout are being found on channel edges where the shallow grass flats meet with deep water. On my Southernaire charters, I’m enjoying catching sheepshead. We are averaging about 10-15 keeper fish per trip. When catching the sheepies on structure we are reeling up plenty of Key West grunts and mangrove snapper, which is resulting in some good-looking fish boxes at the end of the day. I’m finding black drum and catch-and-release redfish on my travels, which are great action for both local and visiting anglers. To finish out the day, I’m drifting over deeper grass flats and jigging for spotted seatrout. Soft-plastics on a jig head are yielding numerous trout as well as a few pompano.